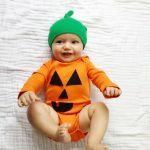 What’s more traditional than a baby dressed as a pumpkin for Halloween? 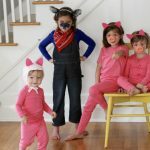 For this DIY, I used a long sleeve orange onesie and green hat from Primary. Then I used sticky back felt to cut out the face. 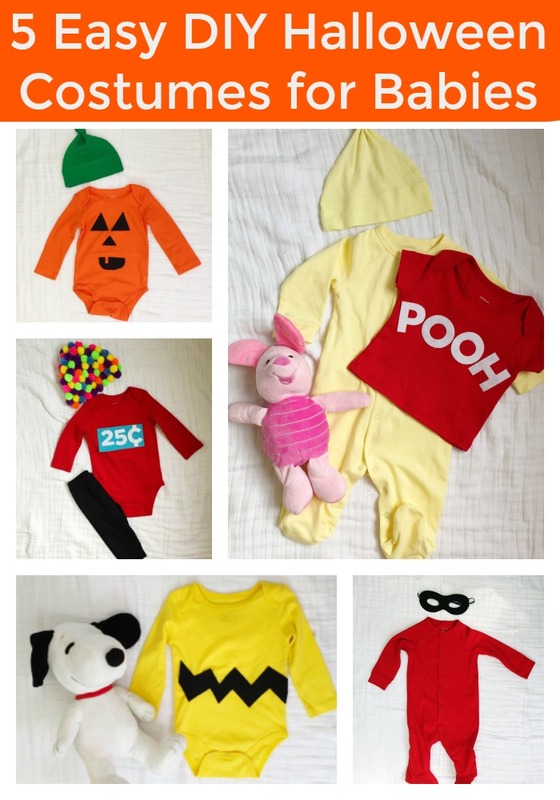 Then you can stick the pieces onto the onesie easily. If you prefer them to be more secure, add some glue. Sometimes I think Miles resembles Charlie Brown. 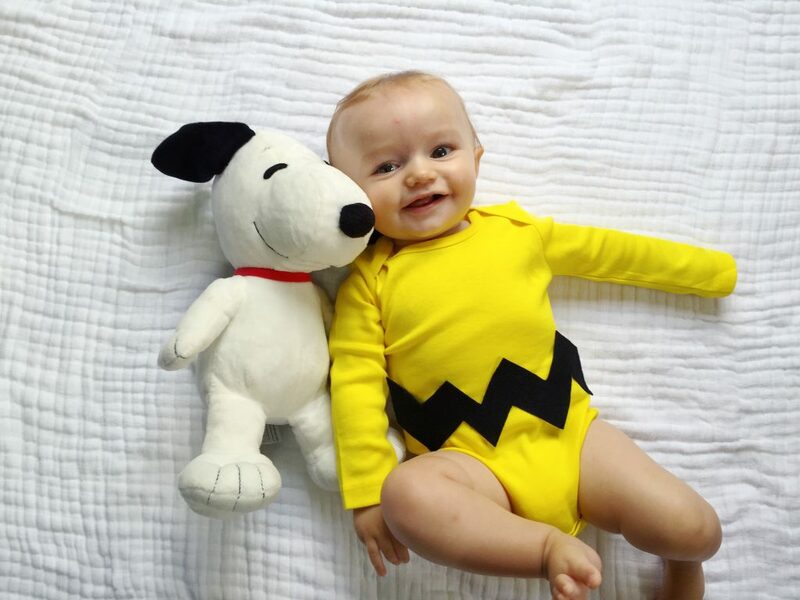 That’s how I thought up making him a Charlie Brown costume. 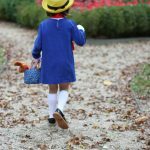 This costume took less than 5 minutes to make. I used a long sleeve onesie and glued on a zig zag that I cut out of felt. If he wears it for Halloween, I figure his pal Snoopy can ride along in the wagon with him! 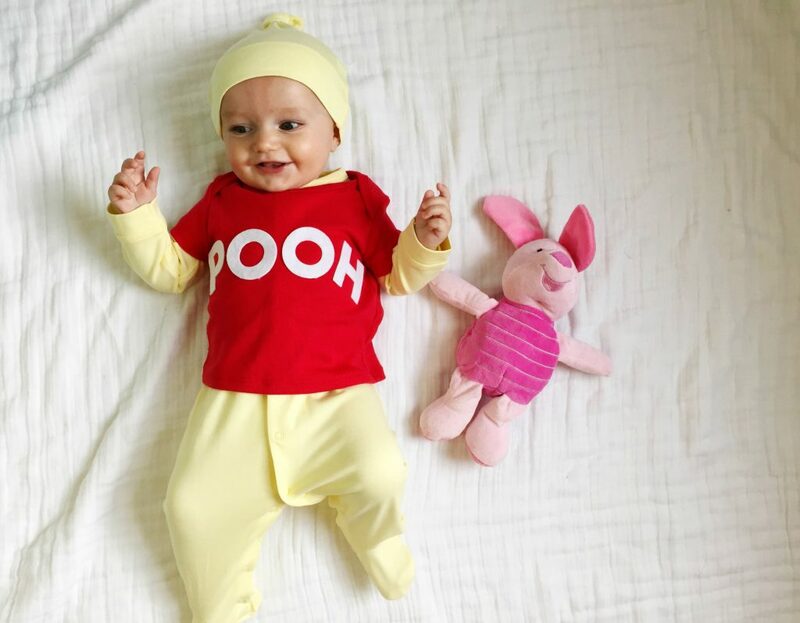 What’s cuter than a chubby, squishy baby dressed up as a lovable bear? This costume was surprisingly easy. I got a yellow footie, a yellow hat and a red baby shirt from Primary (note on Primary the color is Butter). I layered the shirt over the footie. Then I used stick on felt letters from Amazon to spell Pooh. For a finishing touch, I paired it with a Piglet stuffed animal! I’ve seen something like this around the web over the past few years. I’ve always wanted to try making it and figured Miles is my only child that will let me put a hat full of “gum balls” on his head. For this costume, I used a red onesie and black baby pants from Primary. Then I covered one of their baby hats in multi colored pom poms. I hot glued them to the front of the hat. I figured if I covered the whole hat it would be uncomfortable for him to sit in the stroller. For the sign on his belly, I used a square of blue felt and then sticky felt numbers. The entire family cracks up every time I put this hat on his head. 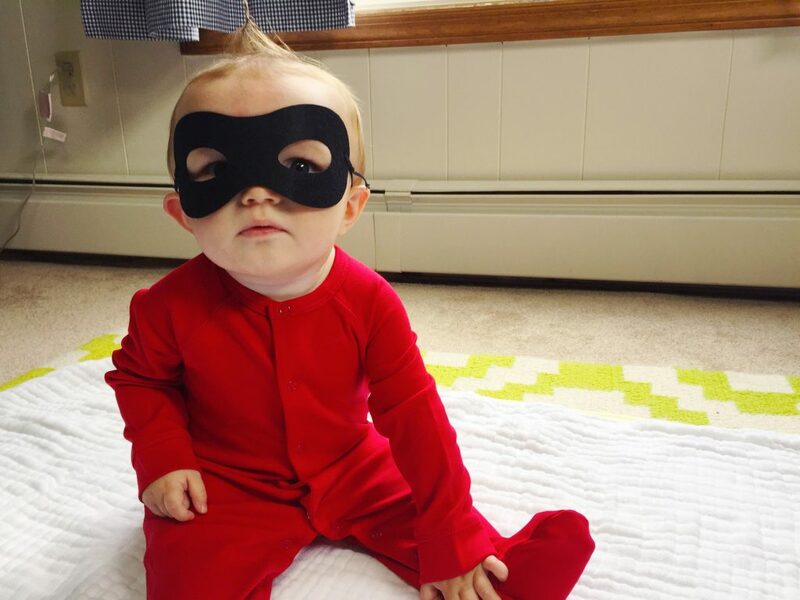 I think Miles also resembles Jack Jack from The Incredibles. 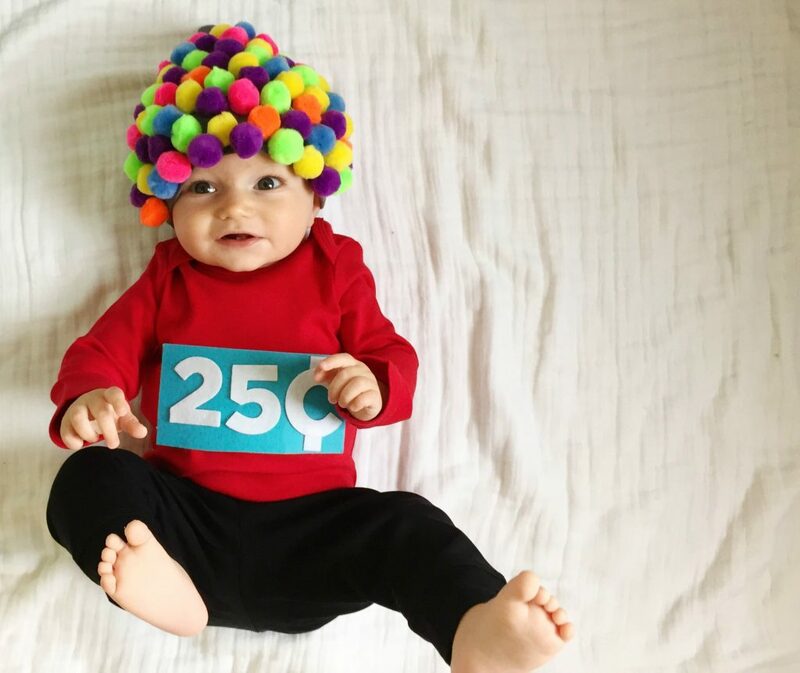 Really, most bald babies do, so this is an easy costume. This one took less than a minute to make! 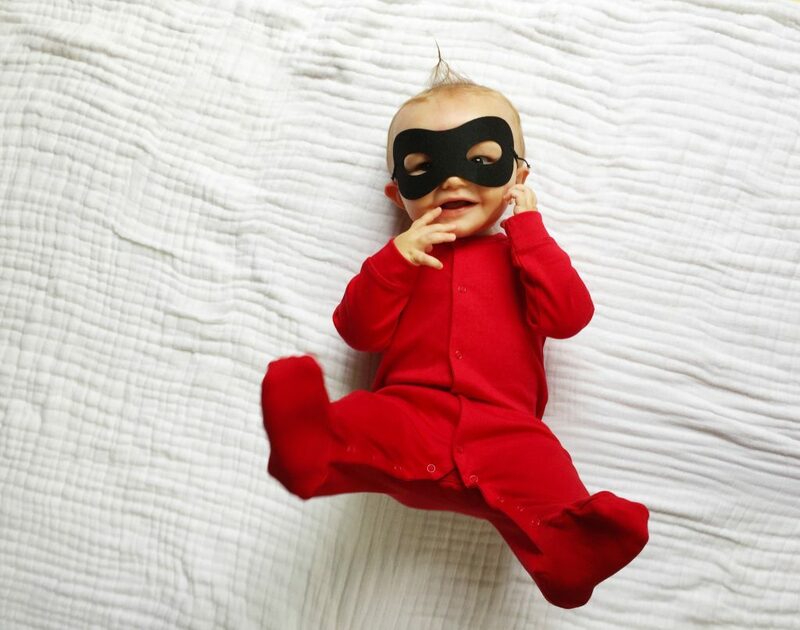 Put a red footie on your baby and a black mask. 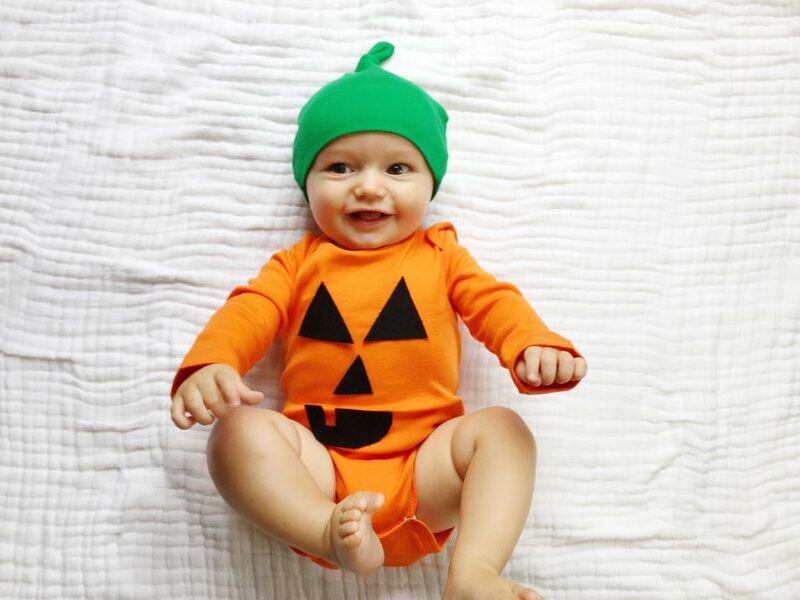 Please note: When adding anything onto your baby’s clothes for a costume or while wearing a costume or accessory, please watch them closely. These are for fun, but definitely not for sleep! 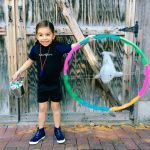 This is a sponsored post on behalf of Primary. 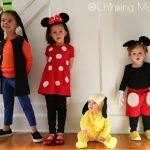 All opinions and creative costume ideas are our own.